“Some people are born to command, others to obey.” I remember hearing this statement from someone a long time ago. I don’t know if my friend was joking or serious, but for a long time, the definition of leadership had to do with giving orders and commanding others. In recent decades, new perspectives on leadership have changed our understanding of what a leader is and does. Today, leadership is perceived as influencing, motivating people, moving them in the direction of a compelling vision. Transformational leaders act in ways that inspire people to become more than they imagined and perform at a level they didn’t think possible. 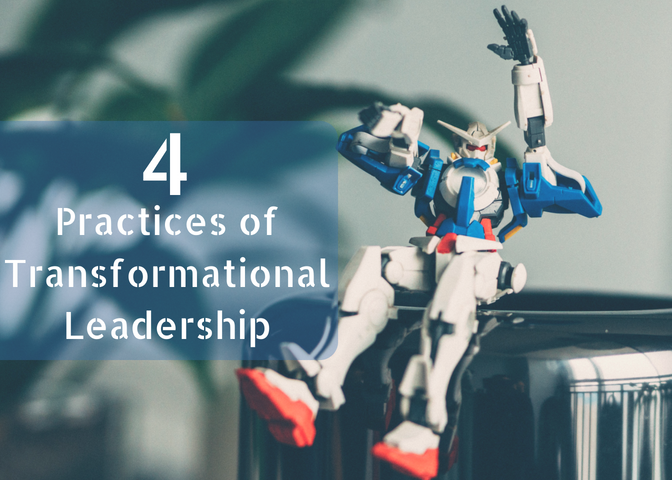 Essentially, these leaders are able to transform followers into leaders, and by doing so, they transform the very organization they serve and the world around them. They Lead by Example. I remember one of the most significant leadership trainings I ever attended. After three weeks of intensive teaching, we went outside for the usual group picture with the founder and CEO of the organization, a well-known Christian leader. After our group and individual photos were taken, some employees were loading the equipment onto a truck. There he was, the man himself, “el presidente,” getting his hands dirty, helping take props down and load chairs on the truck. The deepest leadership lesson I learned those weeks was not taught in the classroom. They Inspire and Motivate. By casting a compelling, worthy, and ambitious vision, they inspire followers to “jump on the bus” and join the mission. They also set goals and delegate authority, creating a team culture where the end result is more than the sum of its parts. They Develop Others. Research shows the number one thing job seekers look for in a position is growth opportunity. Transformational leaders invest in developing people, not only to get them to do their job better, but out of a genuine interest in their growth. They Pay Attention to Persons. It is also called “management by walking around.” Transformational leaders pay attention to individuals in their team and work personally with them, coaching team members and investing personally in them. I encourage you to embrace the practices above in your leadership. Make sure to be the example to your team, inspire and motivate, invest in the development of others, and give individual attention to team members. Every time I fail to lead in this manner, my leadership is mediocre. To the extent that I embrace and practice it, people around me flourish and my leadership blossoms with them.